Where is your surfing school located? 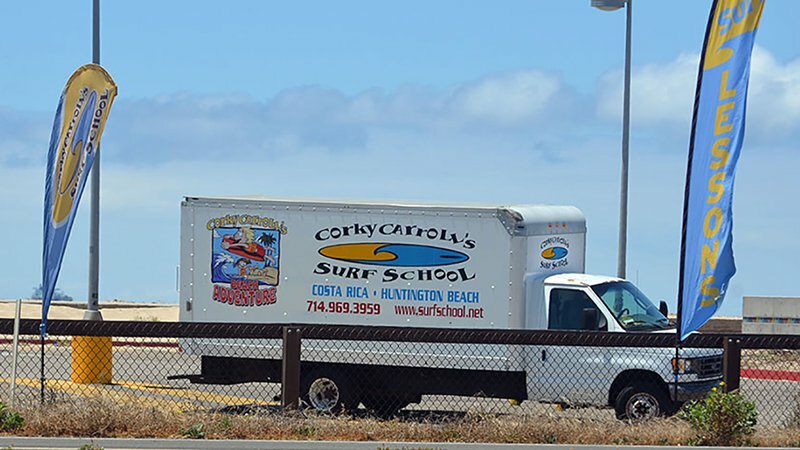 Corky Carroll’s Surf School is located at Bolsa Chica State Beach in Huntington Beach, California. 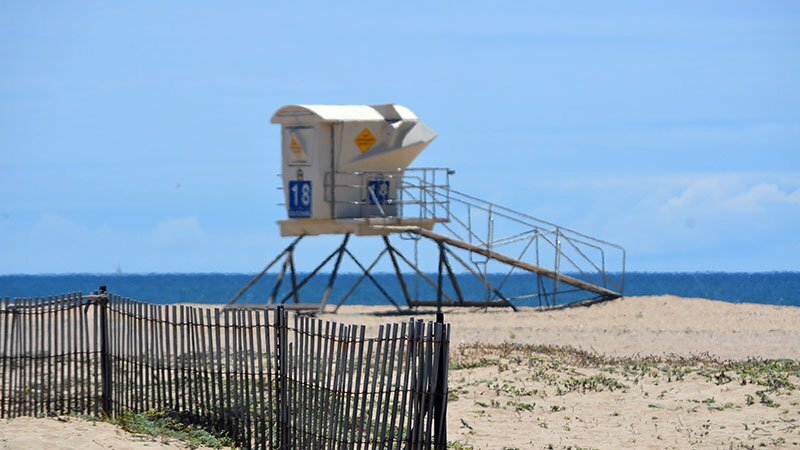 We are positioned approximately 2.5 miles north of the Huntington Beach Pier, between lifeguard towers 18 and 19 at Bolsa Chica. 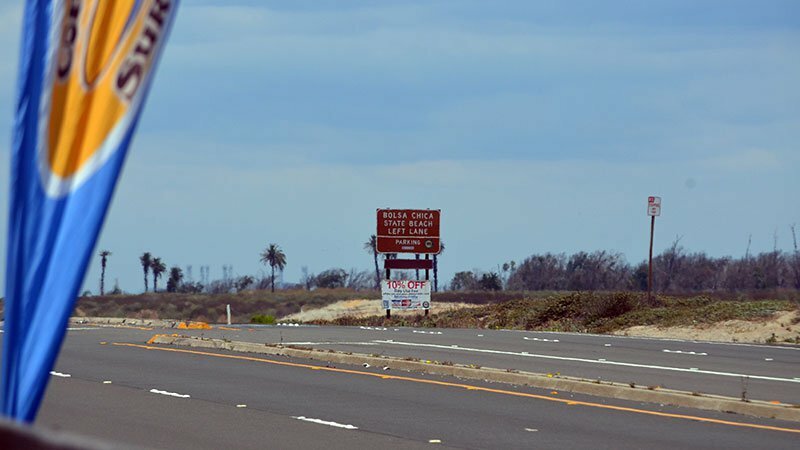 Once you enter Bolsa Chica park you will turn left, following the coast heading towards the Huntington Beach Pier. Go past the RV camping lot and turn right. TOWER 18 is where Corky Carroll’s Surf School is located. September through May, we are set up in the parking lot at our truck. Look for the big white van with our logo. You can’t miss it! What age should I start my youngster surfing? We recommend that they be at least 4 years old to take a surf lesson. However, we do have kids surfing at younger ages in our Beach Adventure program which is located right next to our surf school. What age is too old to begin surfing? NEVER! We have people 80+ learning to surf. Surfing can be dangerous if you lack ocean knowledge and are not taught the proper instruction. Here at Corky Carroll’s Surf School these concepts are taught before entering the water. Safety is our number one priority. Is Bolsa Chica a good place to learn to surf? Bolsa Chica state beach also provides bathrooms with hot and cold water showers 20 yards from our camp, along with plenty of parking and easy pick-up and drop-off. All around it offers optimal conditions for your surfing experience! What program group or private lessons is best suited for me or my youngster? Everyone is different, but the general recommendation is private surf lessons for adults and group surfing lessons for youngsters. Why is it better for youngsters to learn in group lessons? Anyone can and should take private lessons if they want to get a lot of one-on-one time with the instructor. 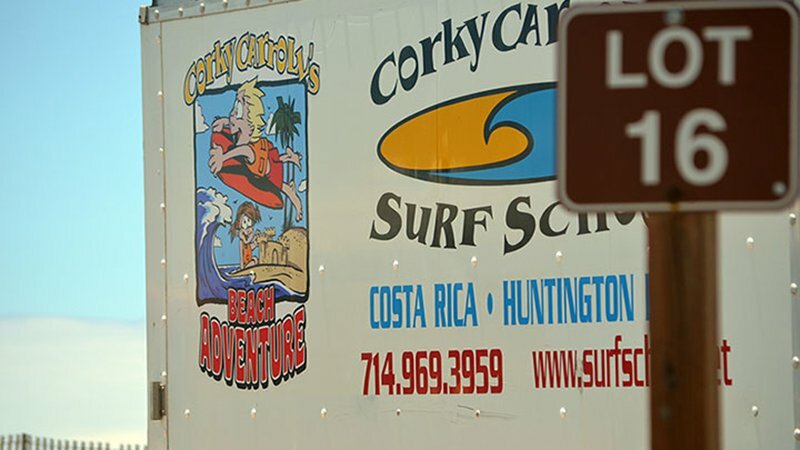 Adults can also take Private Lesson Program and we recommend kids to go to Corky Carroll’s Surf Camp. How does the group lessons work? Our student-to-instructor ratio is three instructors for every ten students. The students are placed in groups according to age and ability. Groups are never larger than five. In addition, for group instruction we also have an instructor on shore with a megaphone watching and assisting the students (one for every ten students in the water). During our summer months we provide a spring/summer suit and a surfboard for every person taking a lesson or at our camps. During winter months we only offer 2-hour Private Lessons, during which a full winter suit and surfboard are provided. How long will it take to learn surfing? Should I learn to surf on a soft board? It all depends on what you feel comfortable doing. There is no problem with learning how to surf on a soft board. Most of our customers learn on a soft top first and then as they get better switch to a hard topped surfboard. How do I know what surfboard is best for me? When learning to surf, always purchase a surfboard based on your height and weight. It also depends on the wave you are surfing and the wave conditions that specific day. If the wave conditions are small we recommend using a longboard. If my youngster is interested in more than one week of surf camp, should he/she do the weeks consecutively? If your kid is ready and excited to surf then of course they should do multiple weeks. What we do not want is your son or daughter to get overwhelmed and or exhausted to the point where they get disappointed in themselves for not doing as good as they should. All parents know their children’s abilities and when they have been pushed to far. If you think they can handle another week of surf camp then they should do it!